Brothers and sisters, we need to protect each other.This is some very important information that might save your hands, your eyes or even your life. This has been verified by snopes, the outfit that busts Internet hoaxes. They are the best. This is happening in the USA right now, but the chemistry is very simple and, no doubt, will spread. Friends, please be very, very careful. Kids are putting Drano (sodium hydroxide), one other common household item and a little water in soda bottles and capping it up - leaving it on lawns. When you go to pick up the trash, and the bottle is shaken just a little - in about 30 seconds or less it builds up a gas and explodes with enough force to remove some of your extremities. The liquid that comes out is boiling hot hydrochloric (muratic) acid, of which even a small amount causes severe acid burns as well. 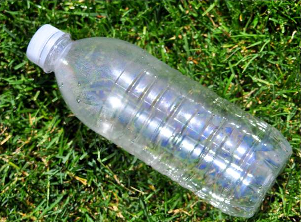 Don't pick up any plastic bottles that may be lying in your yards or in the gutter, etc. Pay attention to this. A plastic bottle with a cap. A little Drano. A little water. A common household item. Disturb it by moving it; and BOOM!! No fingers left and other serious effects to your face, eyes, etc. People are finding these "bombs" in mailboxes and in their yards, just waiting for you to pick it up intending to put it in the trash. But, you'll never make it!!! It takes about 30 seconds to blow after you move the thing. Kids are doing this for kicks. This is evil in its purest form. Violence for the sake of violence. Destruction for its own sake. No goal. No point. No purpose. No way to negotiate. A step beyond political terrorism. See "SNOPES" below -- it's true -- the video at SNOPES shows the Indiana State Police Bomb Squad detonating one -- it's truly horrifying! ..... .. I checked "Truth or Fiction" and "they" agree this is TRUTH!!! So be warned and beware. As stated above, at present, these have appeared only in the USA. However, they are so easy to make that almost certainly,they will soon be appearing in many places. PLEASE READ WHAT IS ON THE SNOPES SITE. SPREAD THE WORD. I'm surprised the kids didn't blow themselves up in the process!